Today I am thankful for movies. Life can be so hectic and full of seemingly endless things to do that sometimes it’s good to have a break from the daily hustle and bustle, time when you can temporarily take your mind off of this world and all of its cares and concerns. Oftentimes when I feel like I need to “get away” for a little while, I relax by going to the movies. And whether I go alone or with someone else, I enjoy the opportunity to become immersed in a whole new world, even if it’s only for a couple of hours. There is something amazing about the fact that well-made and entertaining movies can capture your attention through the characters and plot, soundtrack and special effects, etc. And it’s interesting how watching a movie can affect your mood. 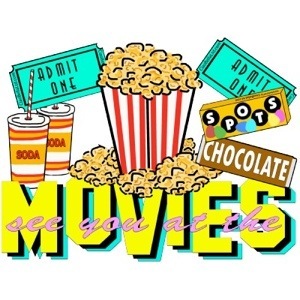 For example, have you ever gone to the movies when you were sad or frustrated about something, and then after watching a comedy you realized that you were no longer sad or frustrated? Or have you ever gone to a movie when you were happy, and then after watching a horror movie or a drama you discovered that you were in a more serious mood? I guess that is representative of the power of the mind and its ability to be influenced.